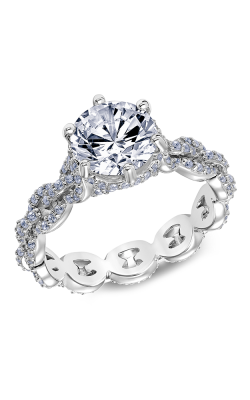 Founded in 1984, Scott Kay has been acclaimed as the foremost authority in bridal and fashion jewelry. 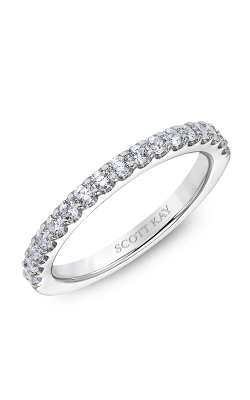 By creating a distinctive and artistically designed collection, Scott Kay established his brand as a coveted destination for bridal rings. Along with this new design inspiration, Scott unveiled platinum as the metal of choice for his bridal collection in the late 1980’s, further igniting the bridal market. Being credited for the platinum resurgence in America, Scott received several awards for his artisanal designs and quality craftsmanship, as well as received the Platinum Innovation award from the Platinum Guild International two years in a row. Scott Kay’s success was due in part to an intense passion and focus in every endeavor. Today, Scott Kay’s legacy is carried out by a small team of best-in-class artisans who bring the same passion to their work that Scott did. To pay tribute to the standards Scott set forth, “Never Compromise” is invoked at every stage of the design process. As a result, each and every engagement ring and wedding band is an impeccable example of the finest quality and craftsmanship.